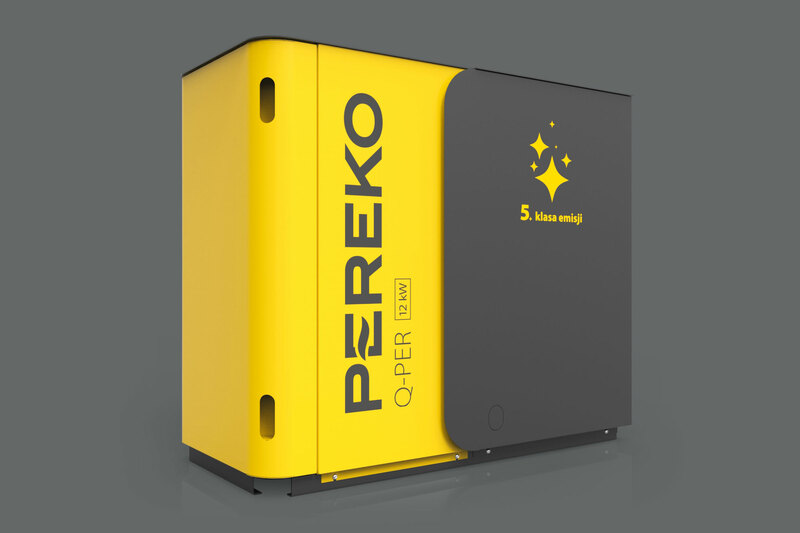 The Q-Per boiler is a product with a new quality in comparison to other boilers of emission class 5. 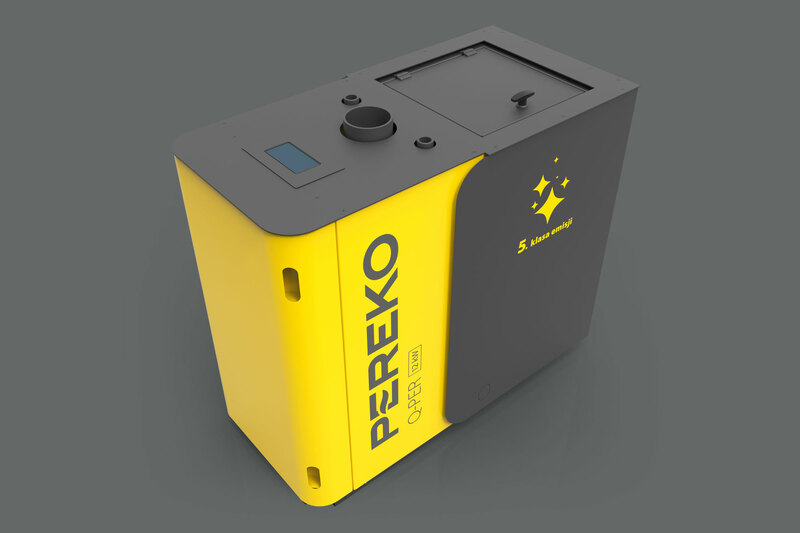 Our goal is to create devices which demanding clients are looking for as they value comfort, new technology and the highest possible environmental friendliness. All elements of the equipment of the Q-Per boiler guarantee easy operation, reliability, possibility of remote control and extremely high efficiency. 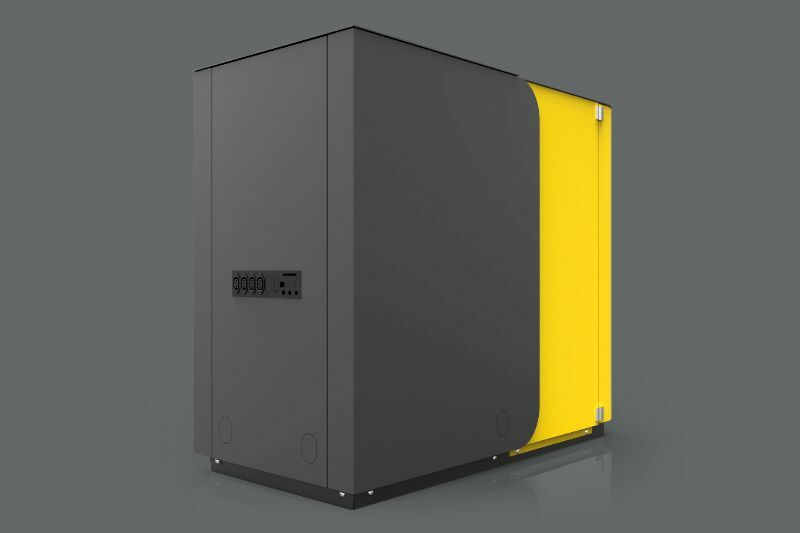 The boiler has been closed in a modern structure which meets not only the expectations of the eye-catching design, but also fulfills all the requirements of the ECODESIGN standard. Compact sizes and low height of Q-Per enables to place the control panel  on top of the boiler. 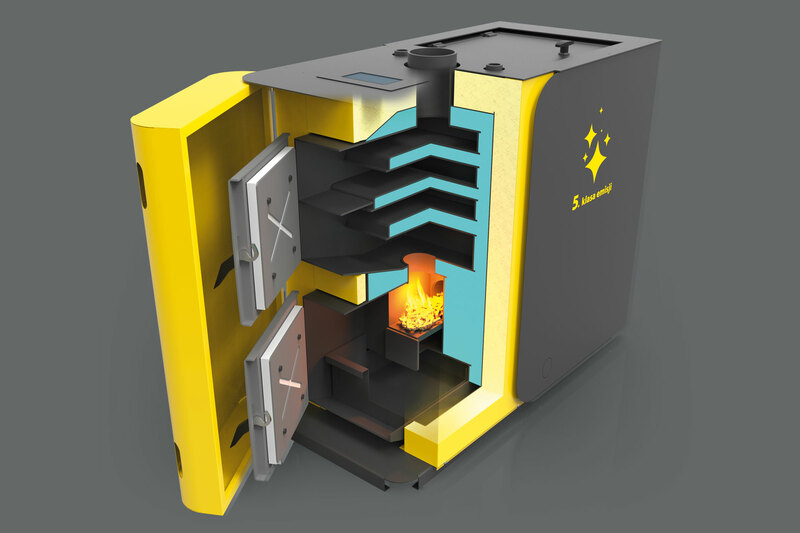 The boiler is serviced by a driver which offers a more and more popular and valued access option to the device via the smartphone application. The fixed values and the algorithm driver were designed to burn every kind of eco-pea coal, irrespective of its quality. 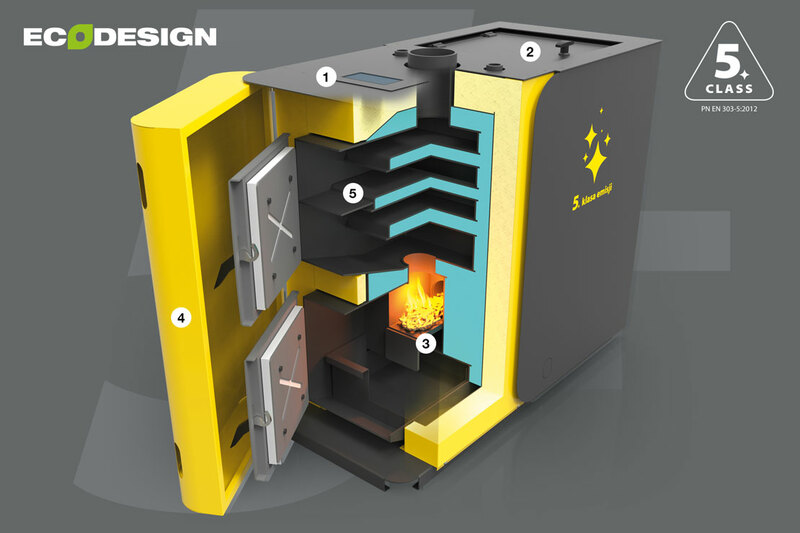 The construction of the boiler provides a convenient fuel batch  and easy access to the hearth  integrated with the bucket. 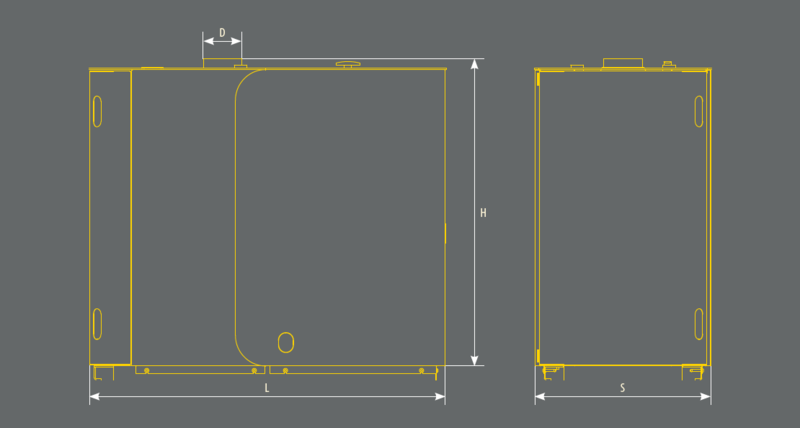 The door of the combustion chamber and the door to the hearth are covered by a lightweight panel . Apart from improving the aesthetic appearance of the device, it also makes cleaning easier and provides additional protection against unintentional contact with the hot door. The system of shelves in the chamber  prolongs the circulation of exhaust gases. Nearly all the energy is captured in the exchanger and that adds up to a high efficiency of the boiler. The fixed values and the algorithm driver were designed to burn every kind of eco-pea coal, irrespective of its quality. The system of shelves in the chamber prolongs the circulation of exhaust gases. The producer reserves the right to introduce technical modifications.